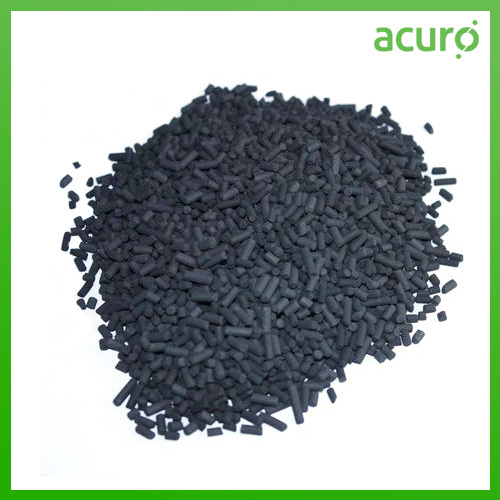 Pelletized Activated Carbon manufactured by Acuro, is a cylindrical-shaped carbon extracted from a thoroughgoing chosen grade of coal. It is pelletized under rigidly controlled conditions by utilizing a high quality binder. It features high mechanical strength and lends itself well to multiple cycles of regeneration. Its specific shape features a low flow resistance. It is typically used in applications like gasoline vapor recovery for automotive applications, air purification, odor control, solvent recovery, catalysis and removal of corrosive gases.